There have been bank foreclosures on landlords' properties. Some tenants have been threatened with eviction. NJTO wants all tenants to know that is it illegal to evict you from your apartment due to foreclosure against the landlord. Contact NJTO at 201-342-3775 if you are being threatened. Ever wonder why New Jersey renters are protected against foreclosure evictions, while tenants in other states are not? 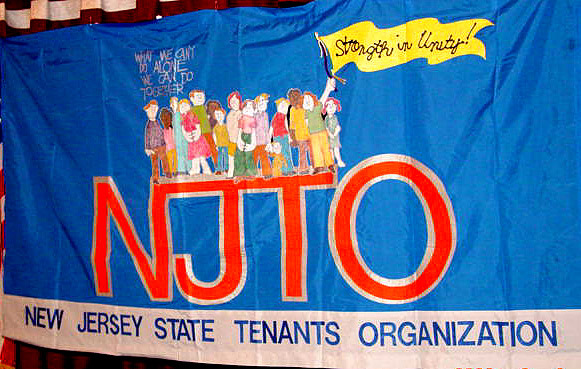 Answer: the New Jersey Tenants Organization. Formed 40 years ago, this group, funded only by membership dues and contributions, has fought for and won more rights for tenants here than tenants enjoy anywhere else in the nation. In 1974, the NJTO won the passage of the Eviction for Just Cause Law, the most important tenant law in the country, which sets out the allowable just causes for eviction. Foreclosure doesn't happen to be one of them. If a bank or another mortgage holder takes title to the property, that entity is the new landlord, with the same responsibilities as the old landlord, and with no special rights. In 2006, the NJTO won the passage of a law that made it a criminal act for a landlord, or anyone representing the landlord, to illegally lock out a tenant. The police are now supposed to protect tenants while they legally break back in to their homes. The police are also supposed to warn the landlord of the criminal violation and should arrest a landlord who does not let tenants back into their apartments. Shutting off vital services like heat, electricity and water is the same as putting a lock on the door and could yield the same criminal violations. Tenants who want to support the NJTO's work and also learn about their rights should join us. Just call 201-342-3775. The writer is president of the New Jersey Tenants Organization.